This month we would like comment briefly on the troubles facing China’s food and beverage sector and its related industries. From its well-known scandals of melamine in milk (2008), gutter oil in restaurants (2009), and clenbuterol in pork (2011), to its bizarre incidents of hair-made soysauce (2004), paraffin-coated rice (2006) and glue-injected shrimp (2012), the Food and Beverage (F&B) sector in China has always had a troubled past. While this paints a dire picture for the F&B sector, we believe that these scandals are an unfortunate but necessary part of the industry’s evolutionary process. Throughout China’s explosive growth, nearly half a million food producers have sprung up, with four-fifths of them employing 10 or fewer workers, highlighting the difficulty of government oversight. In 2011 alone, the Chinese government has closed down more than 5000 companies for crimes related to food safety, incidents of illegal activities dropped by more than 10,000 to 62,000, and the number of illegal food producers arrested fell by 29,000 to 43,000. In terms of investment, this leads to a few industries we see as having great potential for growth in the upstream, midstream and downstream segments of the F&B sector. It also bodes very well for companies with capable corporate governance, and the emergence of strong branded targeting domestic consumption. The agricultural sector in China is filled with small players operating at family-sized levels. The average farmer in China still farms less than 1 hectare of land, compared to 16 in Brazil and 160 in the US. We believe that government demands for better standards and consumer demands for better quality will inevitably lead to industry consolidation. With our expertise in this area and the synergy with our portfolio companies, we see great opportunities in agribusiness for Lunar. By controlling the orange orchards, dairy farms and slaughterhouses, we can also help ensure the quality of orange juice, ice cream and pork sausage that show up on the store shelves. Before these products reach the consumer shopping carts, however, two key questions must be answered, each with their own implicit opportunity. First, how do these products safely arrive from the processing plant to the store? With the rising spending power of Chinese consumers, comes the demand for groceries that are more fresh, perishable and expensive. This in turn will drive the demand for infrastructure and logistics development in fields such cold storage and transportation. Second, how can the safety and standards of those products be ensured? At the 11th National People’s Congress this year, Premier Wen Jiabao stated in his opening address “…[we must] improve the food safety regulatory system and its mechanisms to combat and treat the problem of illegal food additives and illegal food production.” As the consumer market size has risen, so has the consumer product testing industry. China’s testing and inspection industry reached 70 billion RMB in 2010, experiencing a growth of 10% CAGR over the last 5 years. It is expected to grow to 100 billion RMB in 2013. Immediately after the melamine milk scandal in China, mainland Chinese consumers imported significant amounts of foreign milk powder from Hong Kong and Taiwan, leading to local shortages in stores in Hong Kong. Foreign brands of milk powder now account for half of all domestic sales. While this shows the average consumer’s distrust for domestic F&B companies, it also shows the unfulfilled demand that exists for quality brands that consumers can rely on. We believe that the rise of these domestic brands is an inevitable and increasing trend. With Lunar’s investments in the F&B sector and our operationally involved philosophy, we can help build these brands into market leaders in the Chinese market. 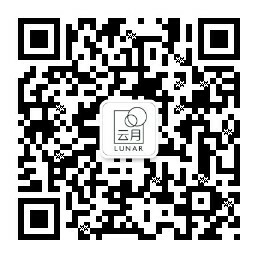 Lunar believes in the rise of the Chinese consumer. We believe that the emergence of more consumers in central and western China, an area with more than 80% of the geographical area and over 55% of the population, will be far more meaningful to the Chinese economy than most current statistics or forecasts imply. These ideas have driven our investment thesis for many years, and serves as the guiding principles toward Lunar’s investments in the F&B sector. The sector’s troubled past lead to better, more stringent regulations and attractive valuations for quality businesses that operate in the same slice of the market. Its promising futures lead to exciting opportunities for Lunar to get involved at earlier stages to build them into market leaders. We believe that Lunar’s expertise in the Food and Beverage sector and its emphasis on operational involvement positions us well for sourcing, diligencing and investing in great businesses at the right valuations.